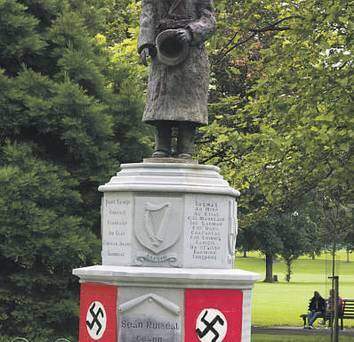 Irish Nationalist Antisemitism Raises Its Ugly Head, Yet Again! Last week Sinn Fein members of Dublin City Council sent the Israeli embassy in Ireland a rambling, buzzword loaded letter, calling on the State of Israel to stop attacking Provisional Sinn Fein’s friends- Hamas and Islamic Jihad. Below is the reply sent to PSF by Israeli Ambassador Boaz Modai. Whilst social media is swamped by pro-Hamas propaganda, you’re much less likely to see the other side of the story, so please feel free to go to Israel In Ireland’s Facebook page, at-https://www.facebook.com/IsraelinIreland/posts/713745171996526?fref=nf and share this with as many people as possible. Thank you. I wish to acknowledge receipt of your letter dated July 16th. I reject out of hand your expression of ‘disgust’. Please excuse me if I missed a similar expression of ‘disgust’ from Sinn Fein representatives at the incessant and indiscriminate rocket and mortar attacks on Israeli civilians by Hamas, Islamic Jihad and other terrorist groups. These attacks, which began in 2001 and escalated dramatically after Israel withdrew its army totally and evacuated all settlers from Gaza in 2005, have now reached the number of almost 15,000. Since the 12th of June, around 1,500 rockets, including Iranian Fajr-5 and long-range Syrian-made M302 missiles, have been launched at Israeli men, women and children. At this moment, 5 million people, a number greater than the population of Ireland, are exposed to rocket fire every day and night. I may also have missed your expressions of disgust at the ever-mounting death toll of 170,000 Arab people, including 10,000 Palestinian Arabs, in the Syrian civil war, or the daily and weekly mass murder of innocent people in Nigeria, Kenya, Somalia, Iraq and Pakistan by Islamist jihadists similar to those of Hamas. Just now, over 200 Nigerian Christian teenage schoolgirls remain in captivity three months after being abducted and enslaved by the jihadists of Boko Haram. I do not recall an expression of disgust at this horror, but forgive me if I missed it. I will not accept a lecture about international law from Sinn Fein, an organisation with a long record of supporting Palestinian terrorism. In my letter to The Irish Times this week, which I would strongly recommend you read, I set out the legal position regarding, on the one hand, Hamas indiscriminate attacks on Israeli civilians (in violation of Articles 48 and 51 of the Geneva Convention Additional Protocol) and, on the other, Hamas’ use of Gazan civilians as human shields in order to maximize casualties to score PR victories against Israel (in violation of Articles 51(7) and 58 of the Protocol).At the same time, the cowardly leaders and commanders of Hamas hide in underground bunkers and tunnels. It is no thanks to Hamas and the other terrorists that Israeli casualties are not greater. We in Israel invest a lot of money and effort in building the Iron Dome system, the bomb shelters and the safe rooms that protect our civilians from attack. The terrorists, by contrast, invest their funds in building a sophisticated infrastructure of tunnels and rocket launch facilities, but build nothing to protect the ordinary people under their rule or to improve the life conditions of the Palestinian civilians in Gaza. The democratic (it is not a ‘claim’ but a reality) state of Israel has as its first duty to protect its citizens, Jewish, Arab and others from terrorist attack. 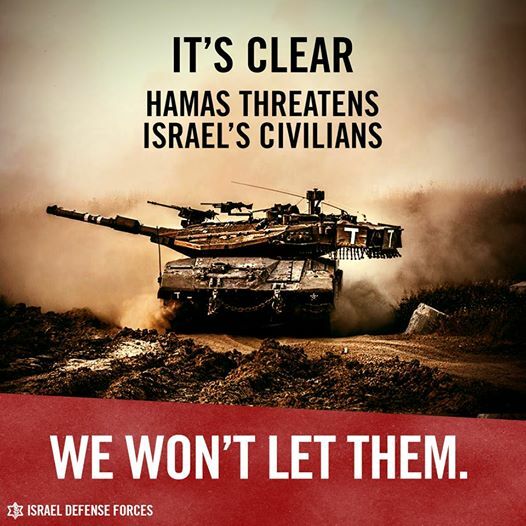 The military operation launched by Israel, far from being ‘collective punishment’ of the Gazan population, is the very opposite of ‘indiscriminate’ – it is precisely targeted at Hamas command and control centres, rocket launch sites and terrorist operatives. Israel’s armed forces do all in their power, helped by the latest technology, to limit their attacks to legitimate military targets and to avoid harming the innocent civilians of Gaza. That cannot guarantee that mistakes will not happen. Even the best technology is subject to human error. Every innocent life lost on either side is a tragedy for us. But the sad reality is that, for Hamas, every Israeli death and injury is a cause for celebration and each Palestinian who loses his life is seen by them as a PR victory. The Palestinian people are not our enemies. If Israel really wished to ‘slaughter’ them, as you allege, it has the firepower to do so many times over. Instead, it takes all possible steps to prevent harm to the people of Gaza, sending advance warnings of attacks by telephone calls, text messages and leaflets. The chief blame for the Palestinian death toll lies with the terrorists who rule their people with an iron hand and deliberately and cynically put them in harm’s way. Hamas is collectively punishing the citizens of Gaza and creating a genocide of its own people. As is stated clearly in the Charter of Hamas (available on the internet for anyone to read) the goal of Hamas is the elimination of the state of Israel and the murder of every Jew. The prevention of this goal being realized is the chief reason why Israel must maintain its military strength. 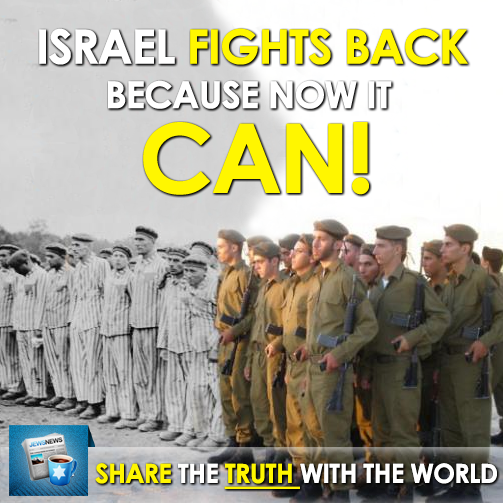 The people of Israel will keep up their resistance to Hamas aggression. As for your call to ‘lift the blockade of Gaza’, I can tell you that Israel will continue to do its utmost to cut off the smuggling of weaponry and the supply of materials used to build the terrorist infrastructure in Gaza. That will not lessen the inflow of food, energy and other necessary humanitarian supplies which Israel has maintained through every day of this conflict. In the last ten days, almost 700 trucks filled with humanitarian goods, food, medicine and other supplies have entered Gaza from Israel via the Kerem Shalom Crossing and almost 2000 people have crossed in and out of Gaza via the Erez Crossing. No democratic country in the world would fail to take the actions undertaken by Israel if its civilians were under attack. True proportionality is not a matter of the relative tally of casualties on each side, but of doing what is necessary to eliminate the threat to civilians, and that is what Israel has been doing since 8 July. As public representatives, elected by the people of Dublin, I would like to respectfully suggest that you try to adopt a more balanced, rational and fair approach to what is a most complex conflict. The Northern Ireland media have dutifully ignored most of PSF’s attacks and tirades against Israel. Yet again acting as cheerleaders for republican extremism. Nobody can be allowed to see the repulsive antisemitism that lies at the very dark heart of Irish nationalism and republicanism. That Provisional Sinn Fein activists are sending messages of pure, racist hate (“go back to Auschwitz”) to anyone remotely connected to Israel is sickening yet sadly not surprising. This is the same disgusting, bigoted, twisted organisation that still pays homage to Irish nationalist Nazi collaborators like Sean Russell. If the media will not act impartially, if they won’t point out PIRA/Sinn Fein’s inherent racism and antisemitism, if they will not do their jobs, then we, the people, will do it instead. The internet, and especially social media, now makes it possible for ordinary people, people like you and me, to ensure that the truth cannot be covered up. We will no longer accept the media’s drip feed of lies and half-truths. The world will see exactly what motivates Irish nationalism (hate, intolerance and rage) regardless of how Ulster’s media try to spin and propagandise on nationalism’s behalf. These are changing times. The old saying that “a lie can travel half way across the world before the truth gets out of bed” no longer holds true. Don’t let the professional liars spread their hate speech about Israel, don’t allow Sinn Fein to spread their antisemitic propaganda. Together we can expose these unreconstructed fascists! If you enjoyed this article please support us by following @0nIyThursday on Twitter. Thank you.